2. Who is the author and when was it written? 3. Name 3 things you see and ideas the author is presenting. 4. Name two ways this answers the DBQ questions. 5. Write out a quote that supports what you are saying in number 4. 1. 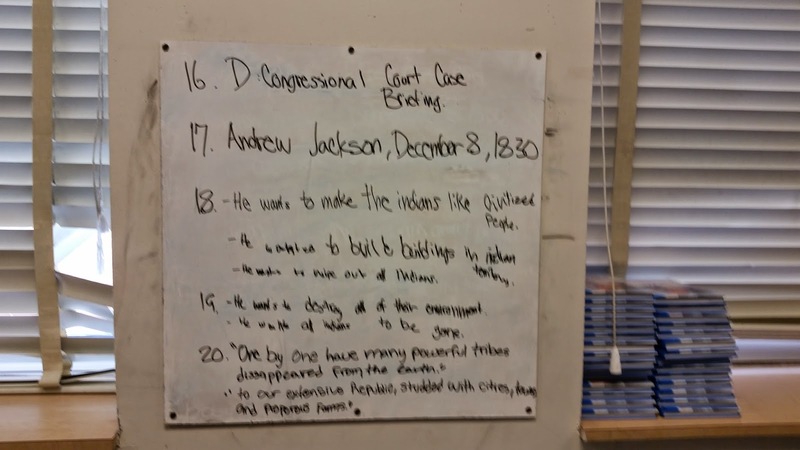 Each table group was assigned a whiteboard to process the DBQ. 2. I set a timer for each document to help make sure things moved along and kept them working. Occasionally, they wanted to draw with the markers because it was a new novelty. It also kept us within the 2 class framework. 3. The students read the documents aloud together and then began writing them out. 4. I made sure to tell them to let each person take turns writing, since there were four documents and four people per group. 5. I stood in the middle pointing out things that needed to be corrected and spent more time with the groups who needed more help. 1. The students enjoyed the activity. 2. 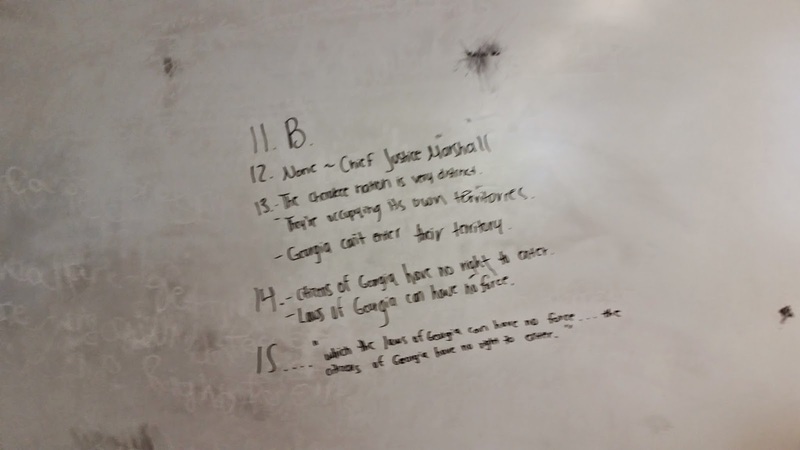 At the beginning the students did not understand that the boards were what I was looking for to have them write out the answers instead of writing it on the paper. 3. I was able to identify who need help immediately. 4. I was able to witness thought processes in action. 5. I was able to help them push their thinking further immediately by asking extending questions. Give it a try! It is great to watch their brains work through the information!